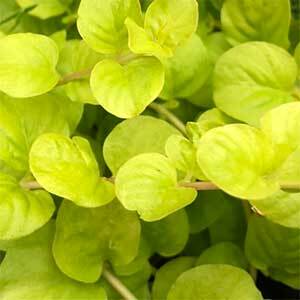 Lysimachia are a varied group, some are low creeping woodland plants, sometimes called ‘Creeping Jenny’ or ‘Moneywort’. It is the Golden Creeping Jenny, Lysimachia nummularia ‘Aurea’, that makes an excellent trailing plant, a little less vigorous than the green form. This form grows well in containers and hanging baskets, and can be used to hang down over a retaining wall to break up the surface and add interest. All seem to prefer a part shaded woodland position although they do well in the border if not exposed to hot afternoon sun. A humus rich moist soil is best. This is na plant that can spread a little to freely in good conditions. Plant away from waterways and bushland areas to prevent problems. Perhaps the daintiest of them all is Lysimachia Japonica Minutissima or ‘Miniature Moneywort’. Lysimachia Ephemerum is a taller species that adds a little height to the garden and grows is full sun to part shade. White flowers in spring to summer and good grey green foliage. Lysimachia Midnight Sun with its deep chocolate green foliage makes an excellent ground cover plant. Other species include: L. clethroides sometimes called ‘Gooseneck loosestrife’ and L. atropurpurea.